Depending on your point of reference, humanity can seem distinct from and damaging to nature or like an emergent part of a single thriving force. Two interviews with the authors of new books illustrate this elasticity and the multifaceted conceptions of ourselves and nature we shift through depending on the questions we ask and the spaciotemporal scales we consider. Vancouverites saw it as a once-in-a-lifetime experience, because hardly anyone was aware that whales lived in the area by the hundreds until they were hunted out a century ago… If you know that whales belong to Vancouver’s past, then it becomes possible to imagine their presence in the future. If you aren’t aware of that history, then the absence of whales will seem perfectly normal — natural, in fact. It’s been said that “technology is anything invented after you were born.” In a similar way, our reference point for nature often comes from what we grew up with, even though most of us were born into environments hugely affected by human development. Ecology and Natural History can show us a deeper picture of the major changes wrought by humans the world over and illustrate major inflection points (like the Industrial Revolution, or the Columbian Exchange) against former baselines. MacKinnon reminds us that these baselines are relative, but that they also tend to be fairly stable in comparison to human rates of change. I now find myself comparing co-existence with other species to life in a multicultural city: it’s complicated and demands innovation and often education, but when it works it creates the most exciting societies the world has ever known. Few people who live in multicultural cities would say it’s easy, but even fewer, I think, would say they would prefer homogeneity. The shared culture of difference becomes a part of our individual identities, and at that point, a harm to diversity really does become a harm to us all. Now consider a similar relationship, this time not to cultural but to ecological complexity, and we have what I would consider the rewilding of the human being. Ecology as a part of identity. If MacKinnon asks how humanity has affected nature on Earth, Ross Anderson and Lee Billings discuss what life on earth has to learn about itself as our search for other worlds really gets going. This galactic expansion of scope compresses, in some ways, the conversation’s working definitions of nature and humanity. 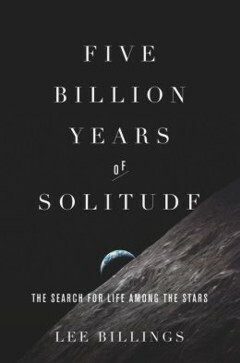 Ross Anderson, for The Atlantic, spoke with Lee Billings about his book Five Billion Years of Solitude which explores the science and cosmological ramifications of the search for extrasolar planets and their potential inhabitants. The book is largely about the scientists who are on the cutting edge of this field, but Billings and Anderson also discuss the emergence of life on Earth and the inevitable end of Earth’s habitability. A point Billings repeatedly stresses is the fragility of our newfound ability to look and venture beyond our own small world. Ecological, political, cultural and technological obstacles threaten to limit our achievement and, as alluded by the book’s title, doom our planet to a life of solitude. The work of the scientists in Billing’s writing is important and grandiose in effect, but often mundane in practice and the same can be said about the governance of a society. Throughout history, countless aspirations of heartbreaking beauty and staggering genius have been torpedoed by all-too-human foibles or by simple bad luck, and that’s not going to change. Maybe we will build super-intelligent machines or travel to the stars someday, but even then we’ll still have to do the dirty laundry. These concerns, in Billings’ mind however, aren’t limited to humanity. What we’ve achieved, we owe to the natural world from which we’ve been born and to which we’re still a part. We aren’t beginning to consider that Earthlings might someday reach other planets and stars because of humanity’s exceptionalism, though that’s been important; we’re considering it because of the riches we lucked into on this precious world. We really owe our progress and our current state not only to our biology, but also to our planetary resources—to the fossil fuels we burn, the ores we mine, the rich diversity of other species we exploit, and so on. We’re presently using most of those resources in very unsustainable ways. We’ve already plucked all the low-hanging fruit, and much of what we are burning and mining and exploiting now is only available to use through our already sophisticated technology. So if we somehow drive ourselves extinct, if all our great edifices collapse, I think it would be very difficult if not impossible for anything else to rise up and rebuild to where we are now, even given a half-billion or a billion years. People can and will disagree with me about that, but my position errs on the side of caution, on the side that says humanity’s present moment in the Sun is too valuable to treat as something disposable. Any species can overreach its niche and in that we may not be exceptional. 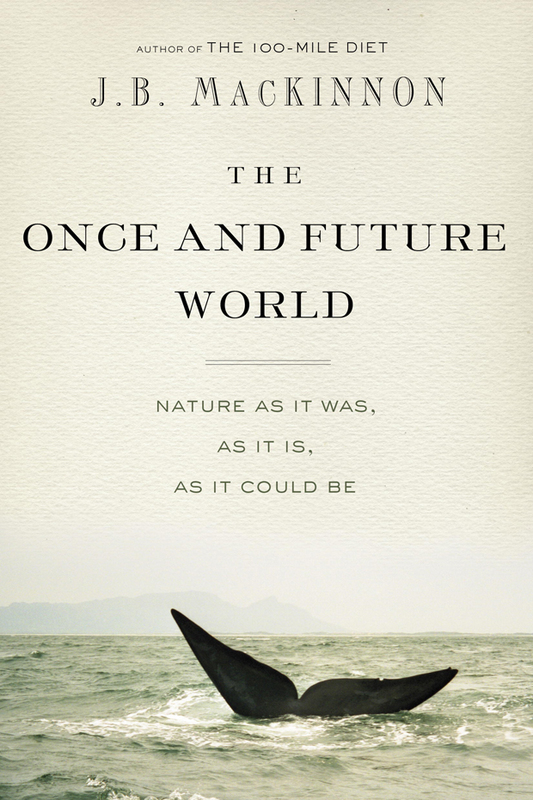 Environmentalists often threaten apocalypse and the fall of human society if we don’t learn to value the Earth’s resources properly, but Billings expands the scope and the stakes. Our work seeking other worlds isn’t just a human endeavor, it’s a planetary one. Like MacKinnon suggesting that we imagine ourselves to be a citizen of diverse city, Billings suggests that we’re ambassadors for that city and we may not have a successor. In taxonomy, classifiers who focus on their subject matter’s similarities are known as “lumpers,” while those most interested in difference are “splitters.” Ultimately, of course, humans are just another part of the natural world, governed by evolution and physics like anything else. But in our day to day lives, and even across generations, our place on this planet is clearly unique in key ways. As these two conversations show, parsing our role on this planet involves both lumping and splitting. Primatologist Robert Sapolsky has spent a career studying humanity’s close biological family and often focuses on lumping us in with other primates, but he offers a single, essential split he’s observed about humans: that we can simultaneously hold two opposing ideas in mind at once. And maybe that quirk itself is what allows us to zoom from a galaxy, down to a planet, and in to a city and to simultaneously lump and split this thing we call nature and ourselves.